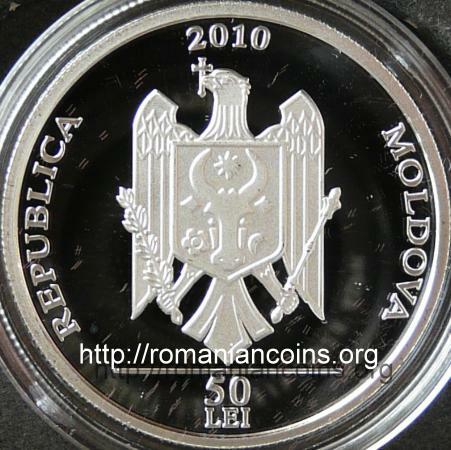 year 2010, circular inscription REPUBLICA MOLDOVA meaning "REPUBLIC OF MOLDAVIA" and the coat of arms of the Republic of Moldavia, in exergue horizontal line and denomination "50 LEI" sideview of the Church of Annunciation in Chişinău, inscriptions "BISERICA BUNA VESTIRE" meaning "CHURCH OF ANNUNCIATION" and "CHIŞINĂU 1810-2010"
This is the first coin from the Holy Houses series. 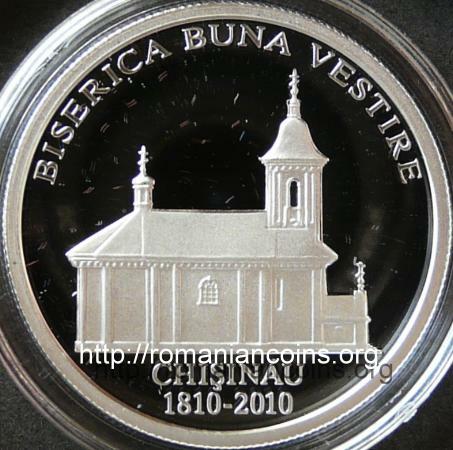 The second coin of the series is 50 lei 2012 - Măzărache Church from Chişinău. 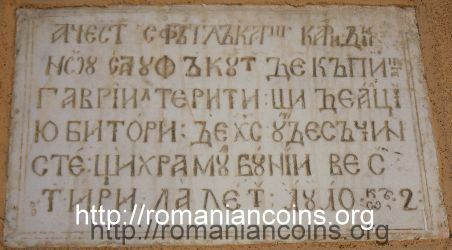 As the votive inscription show, the church was rebuilt in stone in year 1810, over an older building. 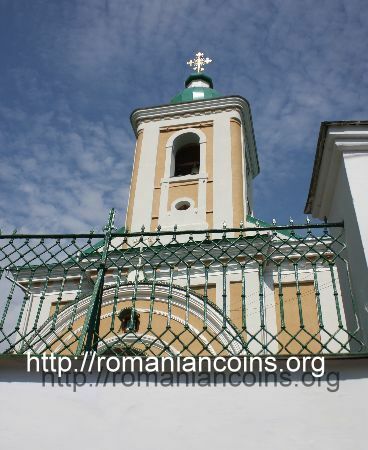 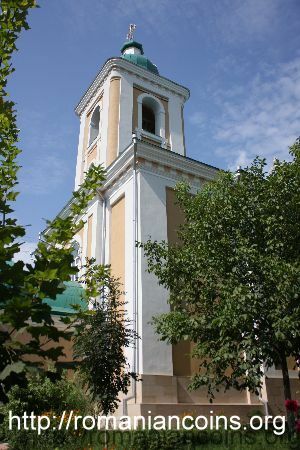 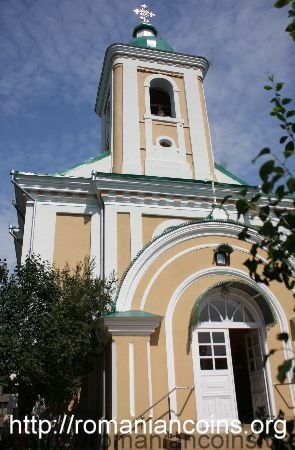 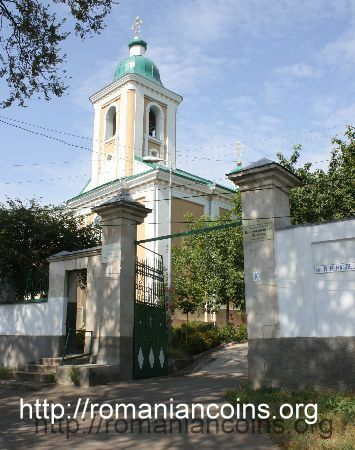 It is one of the oldest churches in Chişinău, and among the few churches built before the Russian occupation (in 1812 the Czarist Russia seized the lands between Prut River and Nistru River from Moldavia) that managed to survive until today.